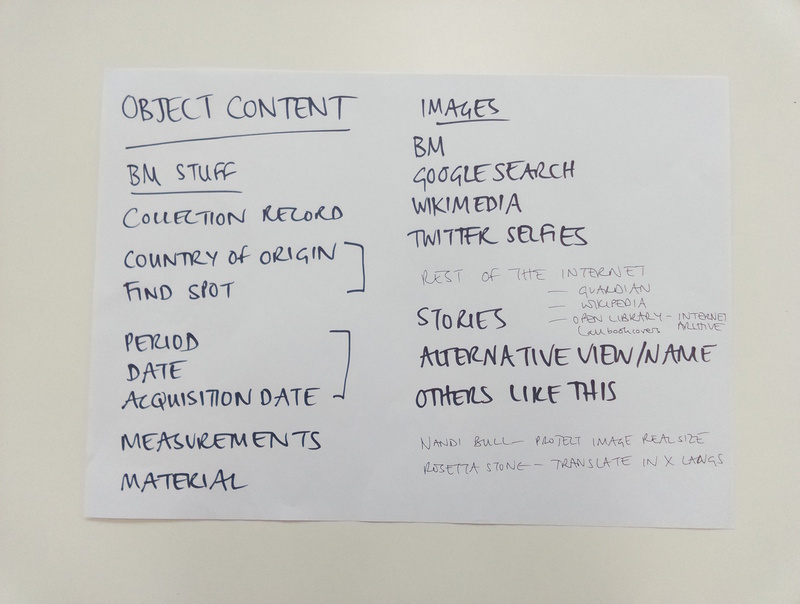 Harriet has laid out a useful overview of the sorts of things we’re thinking about as we embark into the unknown of The Small Museum Version 1 – you can see them photographed below. A very basic point of focus is that perhaps our central element should be the people who come into the room, and not the (very small) objects. We’ll have 10 objects. We have about 10 days. Perhaps we focus on one object per day. We want to explore context around each object. It’s not about showing tombstone metadata, but giving visitors a sense of what the object is and where it normally lives. Object as witness. The space needs to be really dynamic. One thought is to use brown paper as our surface on the table and draw ideas all over it. We could add dates/times to paper to log their creation date/time (and potentially reproduce or replay). We’re going to have a printer and a projector. 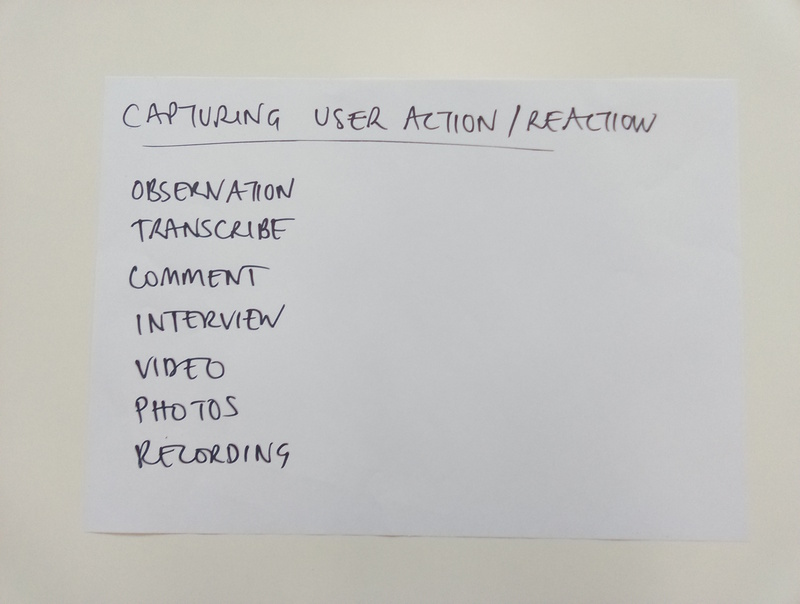 Use the BERG-tough technique of design-by-video during or after the event to expand on ideas. 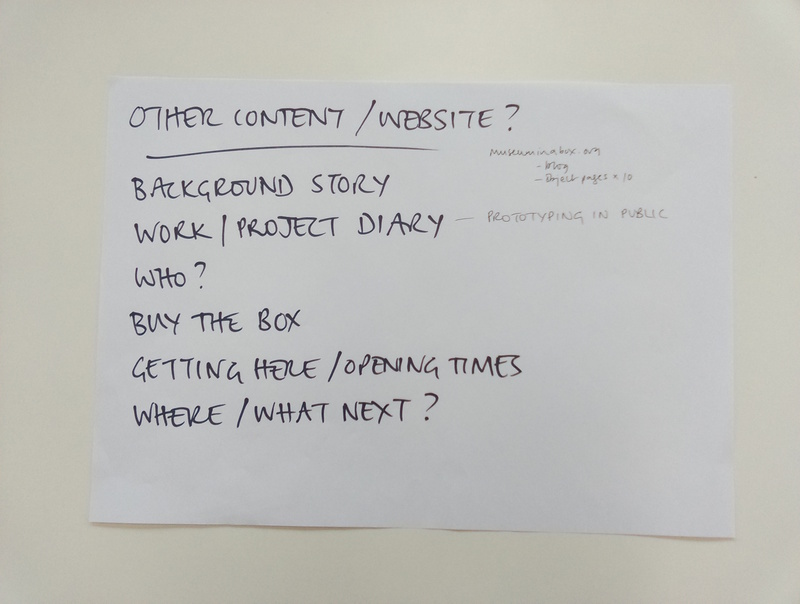 Design at least two different boxes/housings for the museum in a box. Today we have a nice round Royal Doulton box that is fine for starters. Design at least one RFID/NFC style interaction with one object. You place an object on a spot and something happens. 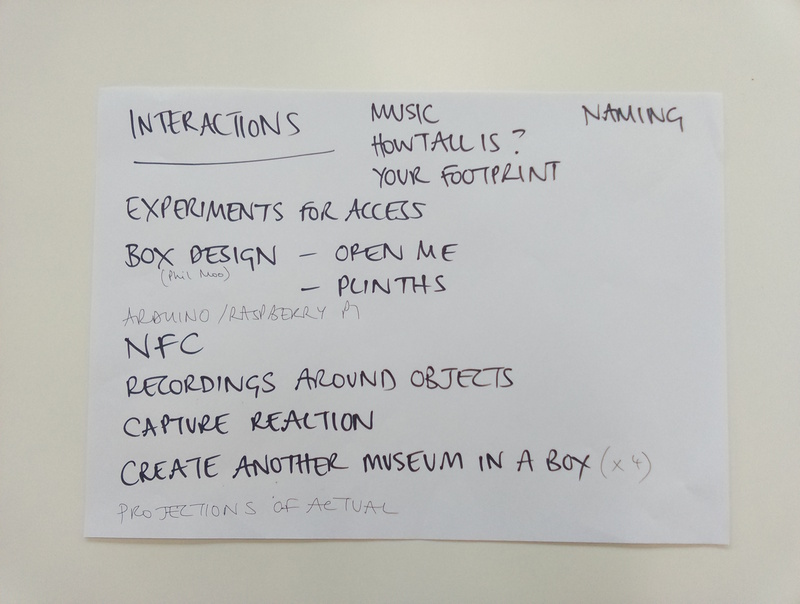 Tiptoe along the line of lo-fi, minimum viable museum and something that looks a bit designed, or thoughtful. 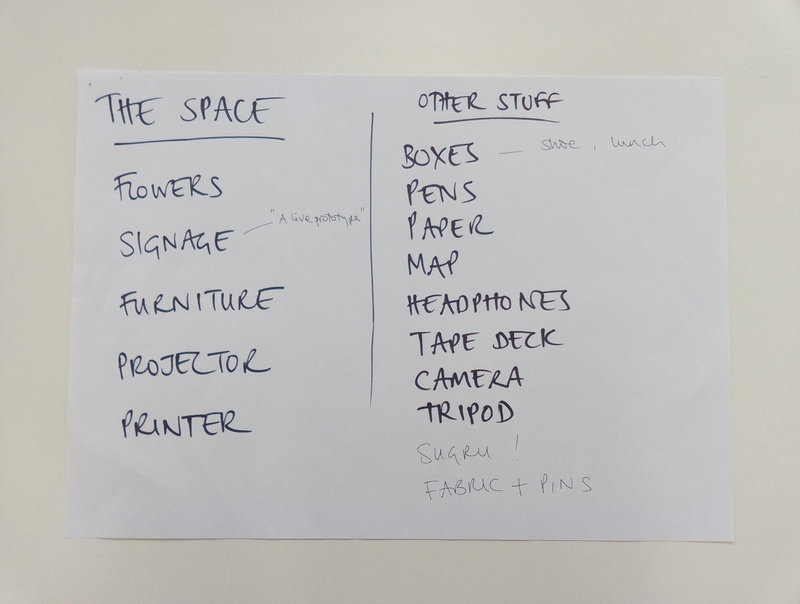 Here are Harriet’s guides for the things we’ll be thinking about. Also, yesterday I discovered the fantastic Pop-Up Museum, out of the Santa Cruz Museum of Art and History. Of course it already exists! There’s a fantastic How-To Kit available there to help think through other stuff we’ll undoubtedly miss. I must admit though, while I don’t necessarily want to reinvent every wheel, it feels important to stumble around a bit and find our way through doing stuff and talking to people. That’s half the fun anyway. Not knowing what the hell is going to happen on any one day, but working to a basic plan is… invigorating!